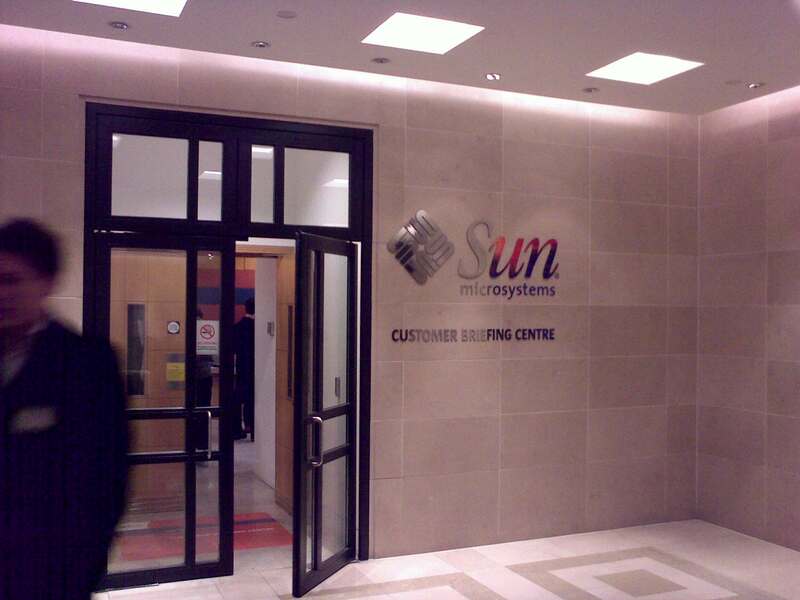 I just came back from London city, where I spent the evening at Sun Microsystems. Sun held an event dedicated to scaling for startups. As scaling is something very interesting for Flosoft.biz, I popped into London and joined the event. A huge white building. A gigantic reception with one guy sitting behind it. Sun was the door on the left. Inside I met up with Artur from Tigase who also joined the event. The evening then started off with a few talks from Last.fm and Sun. Here’s the Agenda of the evening. I just love these events. There’s nothing wrong with Beer and Pizza. It’s a pity that the Pizza was gone quite quickly, about 3 slices a person, but I think that it wasn’t meant to substitute dinner. At this point, I would like to quote Alex: “The only thing that doesn’t scale well, was the Pizza”. From this event I’ve learnt quite a bit about ZFS and Solaris, and will definetly play around with it the next few days. Also the MySQL scaling parts we’re interesting. All in one, an interesting night.